Lamb is not something I cook normally. 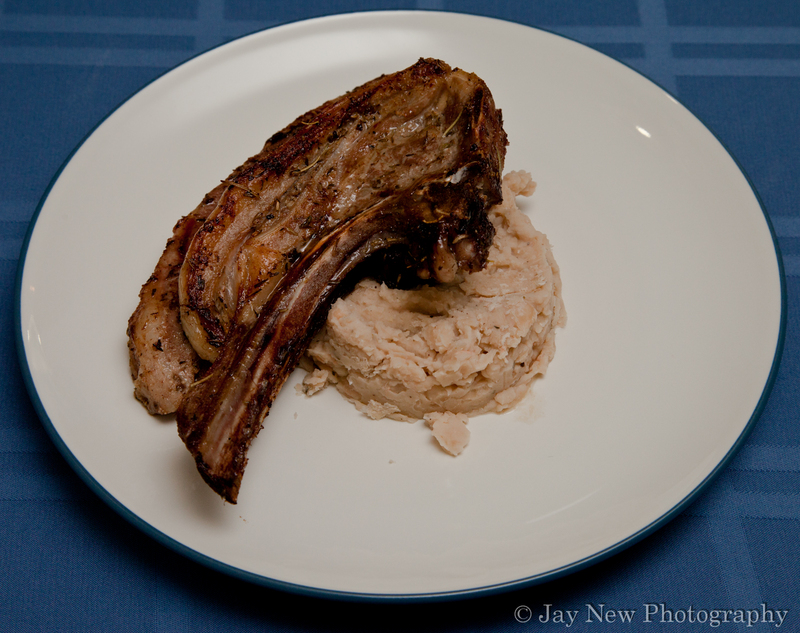 I just happened of find the last remaining package of New Zealand Shoulder Lamb chops, at my local grocery store. For the price, I HAD to get it. Then I spent a few days researching about the best possible way to cook this cut of meat. Then, I started prepping the meat with seasoning..all the while singing “Scarborough Fair” lol. I let it marinade for about 4 hours and cooked those delicious chops. It was perfect! I served it with a side of Pureed Cannellini Beans and from Yogurt Biscuits. I LOVE THIS RECIPE! Wonderful. I don’t normally eat lamb chops as much but I need to get me some. I usually eat pork chops alot. Wonderful recipe again Samina girl *HUGS*. Oh and the movie trailers I posted today.. “Jane Eyre” and “Bridesmaids” were the two trailers I thought you would love.